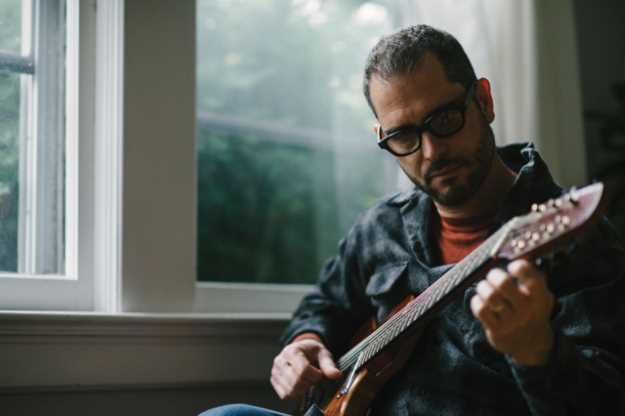 When a piece of music stands out as unique and intriguing to Charlie Hunter, that’s saying something. Innovative instrumentation and inspired collaborations have characterized his exemplary career of more than 25 years as a guitarist, bandleader and composer. In 1992, he made his initial impact on popular music playing seven-string guitar and organ with Michael Franti’s group The Disposable Heroes of Hiphoprisy. The next year, Hunter released his debut as a bandleader, Charlie Hunter Trio, with saxophonist Dave Ellis and drummer Jay Lane. But Hunter’s plans for yet another exciting collaboration recently ran afoul of contemporary politics. He’d planned for his 2018 tour (which includes two sets Friday night in Nashville at Rudy’s Jazz Room) to spotlight brilliant 20-year-old Mexican guitarist-vocalist Silvana Estrada, with whom he worked on her 2017 album Lo Sagrado. The record blends influences from multiple Mexican folk traditions with approaches from jazz, which she has studied extensively. Multiple attempts to secure clearance for Estrada to enter the U.S. with a P-3 visa — a special classification for performers whose material is culturally unique — were rejected. With luck, Estrada will be able to join Hunter sooner rather than later, since her music is an excellent complement to his most recent work. His 2016 album Everybody Has a Plan Until They Get Punched in the Mouth offers spare, wiry arrangements that draw heavily on blues, soul and funk, a sound toward which Hunter has been moving for several years. Prior to his 1995 record Bing! Bing! Bing!, he acquired a custom-built eight-string guitar, which (along with effects pedals) helped him achieve the sonic characteristics of organists like Larry Young, whose style was as strong an influence on Hunter as guitarists like Joe Pass. In 2006, Hunter removed one of his guitars’ bass strings and tuned those that remained up a half-step. The result was a more dynamic sound both in the lead lines and answering chords. While he has made a host of memorable albums for such labels as Blue Note, Ropeadope and GroundUP, Hunter is in the process of setting up shop to release records himself. To that end, Everybody Has a Plan and several of his other releases can be obtained directly on his website, and he’s spearheading the vinyl reissue of classic albums from his catalog going back to the ’90s.